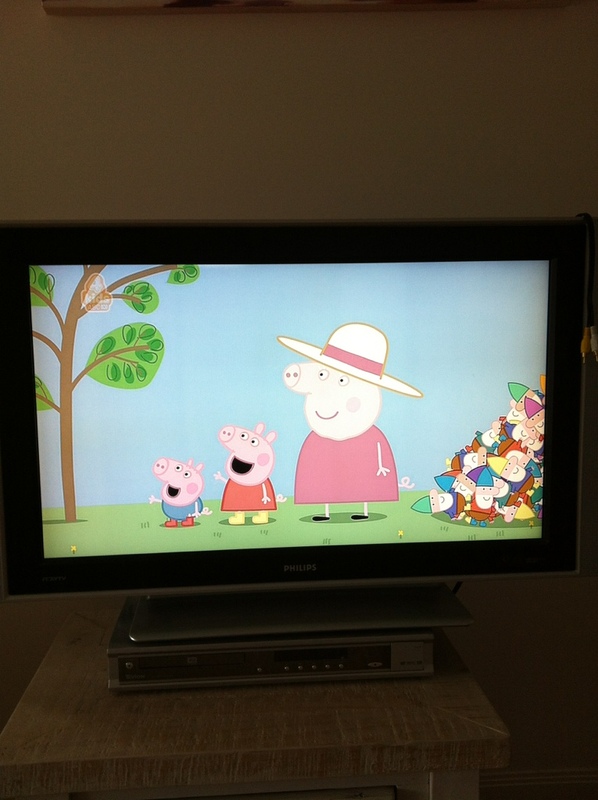 If there’s one kiddies’ show that amuses La endlessly, it’s Peppa Pig. Love it sick. This is the old classic where Grandpa Pig fights his wife’s introduction of dozens of gnomes into his immaculate vege patch. The JCCs are doing their usual north-of-the-border sleeping trick: the 4am wake up – and it’s not even a different time zone yet. Male JCC chose a fab earrings-and-scarf combo as a belated birthday present for La Mamma. He has my genes. Then he took to the sofa with his uncle, L’Auteur, for some bongo lessons. L’Auteur is very musical. Things went somewhat downhill from there, as the JCCs piled in and grilled L’Auteur over the recent demise of his relationship. His girlfriend had been an object of much admiration among both la male and female loin fruits. L’Auteur isn’t giving much away about la break-up. Probably for the best. 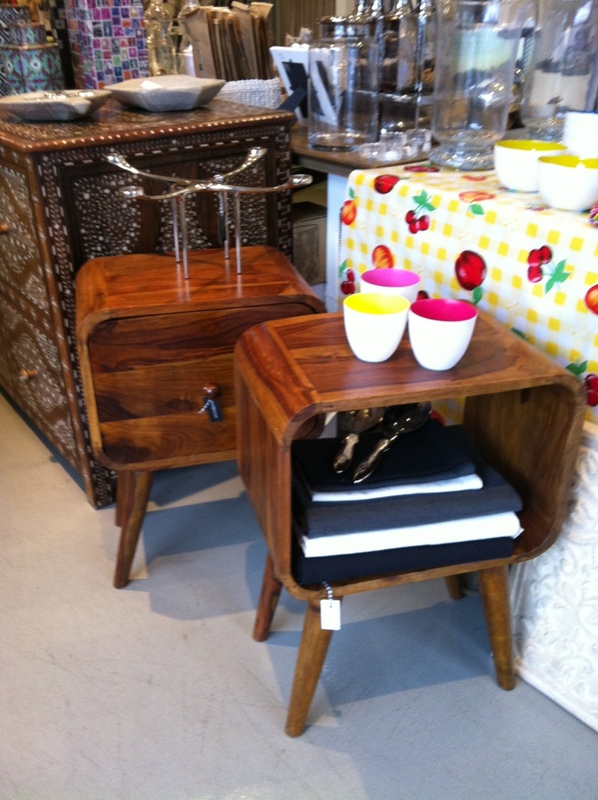 Spotted some extremely cute bedside tables in Kova Interiors. Sarah Terrific-Home, are you reading? They were fab. 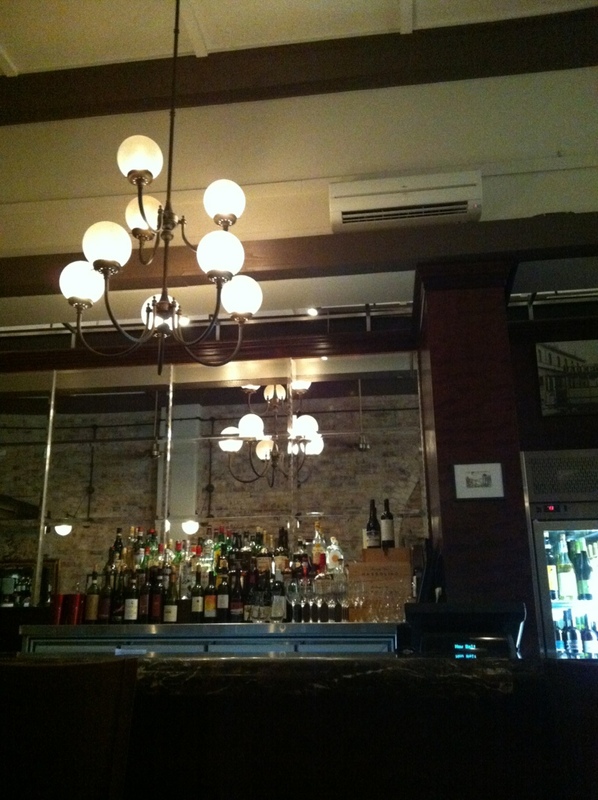 Wrapped the day up with dinner at 1889 Enoteca, or Enoteca 1889. Good either way. Claimed to be Roman, but there was a noticeable absence of pluck and gizzards on the menu, so La thinks not. For the second time today, probably for the best. Bonoiti as they say in East Timor (from Portuguese). Hope you have fun in Los Brisbos. Oh PS I love Pepa Pig, especially when George cries his little fountains of tears! You’re fast – or bored. There will always be something eternally youthful about L’Auteur. Is that a tautology? It doesn’t get any better than Peppa Pig – and I’m quite the (enforced) connoisseur of kids’ TV (the Giggle and Hoot theme song is the soundtrack of my life). A new series has just started and last week there was a ripper – Kylie Kangaroo and her family turn up unannounced to stay with Peppa, George and the gang – a not-so-subtle dig at freeloading Aussie backpackers. By the way, apropos of nothing in your post above, please tell me you’re not on board with this pyjamas-as-daywear trend. Maggie Alderson is a big fan and Princess Mary tried to rock a paisley PJ onesie. You’re the oracle – so what’s the deal? Don’t let me down here, little lady. I’m not embarrassed to say I like a loose floral pant. However, I see the jimjams-as-daywear as something else altogether: a declaration of class warfare. A look-at-me-I’m-so-louche, I-eat-blinis-in-the-bath, work’s-for-jerks-type class statement. All well and good for Mary and her ilk. The rest of us just have to keep on trying harder.